Welcome to the November issue of the CGC newsletter, applauding all those involved in business support! It has been another eventful month at CGC – from work anniversaries and birthdays to celebrating Melbourne Cup races. 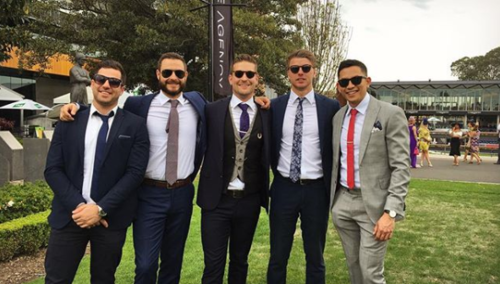 (Here's the Brisbane team, minus Hopey, celebrating the race in style). In this issue you will hear from Mikaila O’Brien and Prashilta Prahalad giving their expert opinion on the Business Support desks and Jamie Madden will be giving an insight into the Social events this month at Sydney and Brisbane CGC! Business support roles - whether they be Business Administration, HR, Finance, Marketing or Accounts - are pivotal to the effective and efficient day-to-day operations of any company. The individuals in these roles ensure the utmost proficiency of performance across all departments in the business. Here at CGC we recruit both temporary and permanent office and business support staff. We have had great success on the temporary relief of receptionists (sick and holiday relief) all the way through to temp and perm executive assistants, accountants, marketing coordinators, bid and submissions coordinators. Next time you’re walking down the main streets of Sydney, take a look at how much construction is underway. Look to the skies and see the cranes over the buildings and have a little think about how much administration and behind the scenes support is driving all this growth in our major city. Office support recruitment is so often put on the back burner or seen as less vital than the other roles in this industry (architects, engineers, project managers etc). However, it is these behind the scenes roles that are the driving force keeping everything running smoothly. Just as an insight into the market, experts have been communicating that the construction industry across Australia may have experienced a mild contraction last month, however the market is still experiencing additional infrastructure spending, which will therefore increase the demand for top tier talent. Operating in a candidate short and temp driven market, our advice would be to act quickly on any top tier talent which you are interested in. If you are on the hunt for business support roles in construction, engineering, design and architecture, property or real-estate – please contact Mikaila O’Brien on 8252 4010 mikaila.obrien@cgcrecruitment.com.au and Prashilta Prahalad on 8252 4023 and Prashilta.prahalad@cgcrecruitment.com – We look forward to hearing from you! There is never a dull moment here at CGC Recruitment and November has not disappointed! 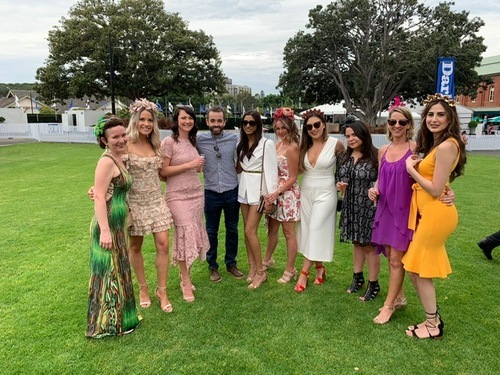 With Summer and the festive season right around the corner, we started off our celebrations by attending Melbourne Cup events. 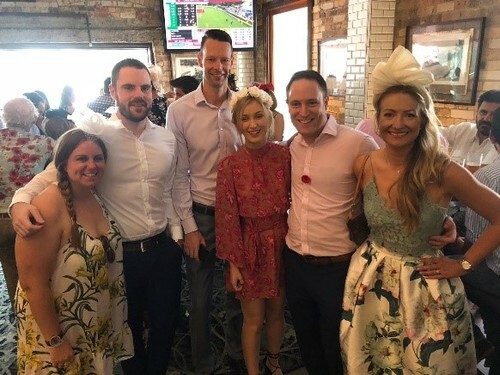 The Sydney team found themselves trackside and Brisbane celebrated at a lovely venue in 35-degree heat! After a few (too many) photos and bets it sounds like there were more wins than losses between the two offices with the winner of the cup ‘Cross Counter’ being a favourite within the company. Aside from the Melbourne Cup celebrations, both offices have been out and about, all for exciting events. The architecture team in Sydney thoroughly enjoyed the studio opening at Ignite Architects and both Brisbane and Sydney continue to attend the WIDAC (Women in Design and Construction) networking event. Internally, the lovely back office team in Sydney were treated to a meal out for all their efforts behind the scenes with our amazing Glynis having a title change to People & Culture Manager (very fitting!! ), and Brisbane congratulated Lindsey Massey on her promotion to Principal Consultant with some bubbles. A big happy birthday to one of our Sydney consultants, Alex, who is celebrating the big ‘21’ on the 28th of November – we hope you have a great time! All in all, a busy month at CGC with an exciting Christmas party to look forward to - the Brisbane team are making the trip to Sydney to celebrate so keep an eye out for the next newsletter to see how the day goes!